Nissan, a leading automotive manufacturer, has confirmed the production design of the Nissan GT-R50 by Italdesign, the ultimate expression of the GT-R, and has opened the official order books for the 50-vehicle limited run. Italy-based Italdesign is a service company providing design, engineering and production for the transportation industry, through to final testing and type-approval and support into starting of production and the design of complete business models. The car’s exterior is virtually unchanged from the prototype first shown in July at the Goodwood Festival of Speed in England, UK, said a statement from Nissan. Nissan collaborated with Italdesign to create the model, based on the latest Nissan GT-R Nismo, in commemoration of the 50th anniversaries of the GT-R in 2019 and Italdesign in 2018. While the prototype vehicle was finished in a special grey with gold accents, customers will be able to specify their preferred colour combinations for the production version. They also will be able to choose interior colours and packages. In addition to Goodwood, the GT-R50 prototype has made appearances at Spa-Francorchamps in Belgium, the Rolex Monterey Motorsports Reunion in the US and Nissan Crossing in Tokyo’s Ginza district. It has been on display at the Nissan Gallery in Yokohama, Japan, since December 7. 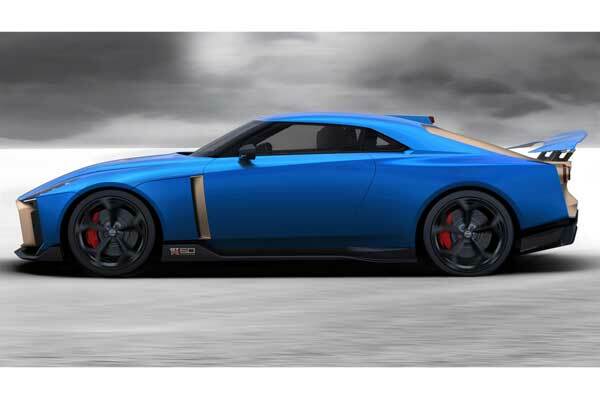 “These 50 cars, which celebrate 50 years of the GT-R as well as 50 years of Italdesign, will be rolling tributes to Nissan’s engineering leadership and rich sports car heritage for a long time to come,” he added.